Thank you for visiting LYNANN ENGLISH COCKERS. We hope you enjoy the time you spend here. All time top winning Breeder, Owner, Handler for Specialty Best of Breeds with 28 Specialties won. 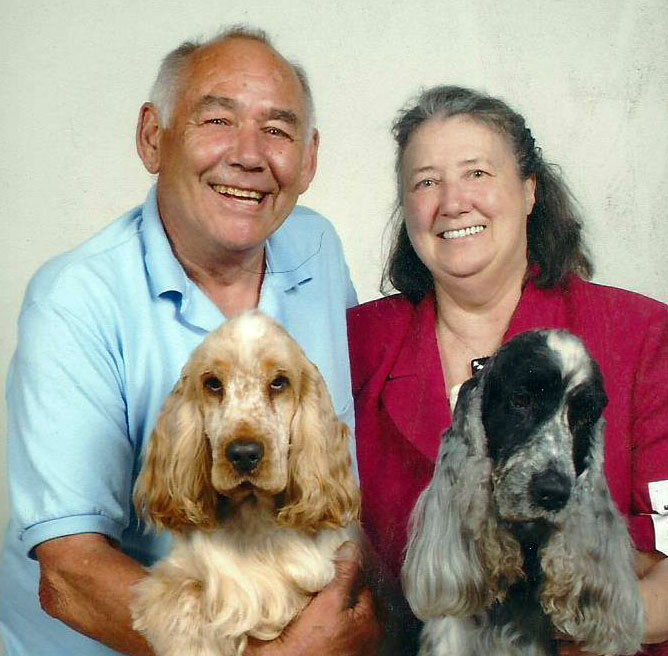 Bob and I started in the wonderful Sport of Dogs with English Setters in 1976. Our interest grew the more involved we became in this Sport. Our children started out in Junior handling and our compassion for our chosen breeds has continued for almost 40 years now. Our first English Setter litter was born in 1979. In 1978 we purchased our first English Cocker Spaniel, and it was several years later that we whelped our first litter. Our kennel name” Lynann” is a combination of Lynda’s first and middle name. We started breeding with this prefix in 1979. 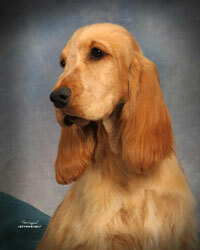 The Lynann kennel name is known worldwide for their quality English Cocker Spaniels, and in the past our English Setters. Although our interest is now the English Cocker, we will always admire the English Setter. Our dogs have won many awards through the English Cocker Spaniel Club of America, and the English Cocker Club of S. California, for which we are very proud. The awards are important to us, but the love and devotion our dogs have given to their owners over the years is what is most IMPORTANT to us. Our Ch. 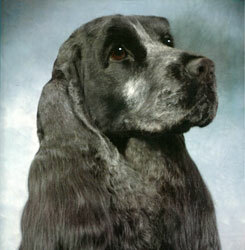 Lynann's Telesis ECM won the English Cocker National under Mary-Ann Alston in 1995. This was a dream realized for Bob and I, his breeders, owners - handler. We were equally thrilled when we won the National Specialty in May 2003 with Ch. Lynann's Timeless Image under breeder-judge Bonnie Threlfall. This is our second generation of National Specialty winners. In July of 2014 we once again won the English Cocker Spaniel Club of Southern California Specialty with our BISS GCh. Lynann's Ace To Keep from the Veteran Class at almost 9 years old under Breeder judge Beverly Andersen. In 1995 we had the opportunity to import our first English Cocker from the Tripol kennel of Lea Bogers Dam. A beautiful black girl we call Tripols Dare Me Lynann “Cinders". Cinders is the foundation of our solid line. In May of 2004 we had the opportunity to import a dog from the A One Kennel of Ann Sward in Sweden by the name of A One’s Parzival, “Erik”. We are pleased with what his pedigree has produced when bred to the Lynann line. We have also imported 4 more dogs from the Vom Schloss Hellenstein Kennel in Germany of Monika Bollinger. Thanks go to Vicki Zwart, Deb Deane and Lanore Matter, these ladies were so very helpful in getting our imports here to the U.S. See our Import page for more information on those dogs. Our goal, and always will be, is to strive for HEALTH, TEMPERAMENT and QUALITY in our dogs. We are Breeders of Merit through the American Kennel Club and have signed a Code of Conduct through The English Cocker Spaniel Club of America. We would like to thank the breeders that have gone on before us, for without them we would not have our dogs. Thank you also to our friends that have supported our dogs and us over the years. Bob and I moved to Newbury Park, CA, in 1971. We love this area with it's afternoon ocean breezes and moderate weather. Our family has always loved animals, owning a multitude of "CRITTERS" over the years.